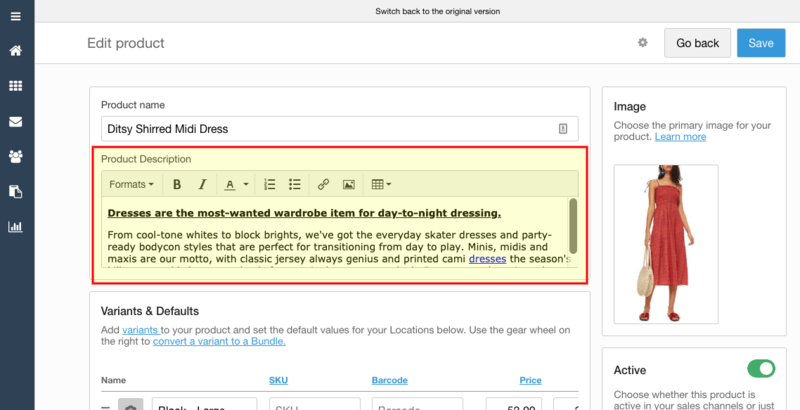 The Product Description field is used mainly for online businesses. They are also factored into SEO (Search Engine Optimization) so they should be written with the knowledge that each description will be publicly available on WooCommerce and Shopify. 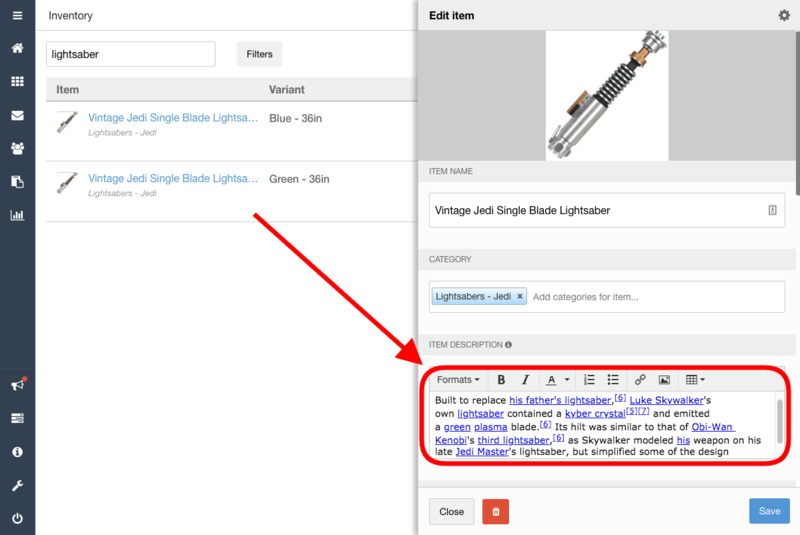 Descriptions can be used for taking notes, but just be aware that connecting an e-commerce integration will push the Description field. Text formatting like bold and italics can be applied. You can also create links, bullet points, numbered lists, etc. You can link additional product images on the description. Just paste in the image address. Shopventory does not host those images on our end but we reference the link in order to display the corresponding image.